Delicious Coconut and Vanilla MCT Oil – Perfect for making Bulletproof Coffee! This is a high potency emulsified Flavoured MCT Oil. MCT Oil has a coconut taste and creamy texture. Emulsified C8 and C10 MCT oil from sustainably sourced coconuts – pure, natural energy without the sugar! Fuel your mind and body with Nature’s most potent healthy fats. This is a high potency emulsified Flavoured MCT Oil. 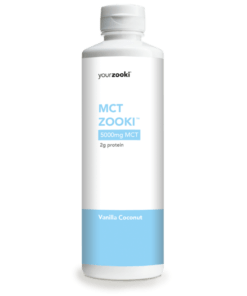 MCT Oil has a coconut taste and creamy texture – ideal for making bulletproof coffee. Emulsified C8 and C10 MCT oil from sustainably sourced coconuts – pure, natural energy without the sugar! Use this delicious flavoured MCT Oil to transform water into a natural, sugar free, coconut fuelled energy drink – ideal to be sipped before/during exercise or a long day of work. Also very popular to have in smoothies, porridge and coffee or just on its own straight off the spoon. Natural source of energy that your body can readily metabolise throughout the day. Encourages the production of ketones for the brain. Very popular as a natural way to energise and suppress cravings. Made with the highest quality C8 and C10 chain MCT oil from sustainably sourced coconuts. INGREDIENTS: MCT Oil, Glycerin, Purified Water, Whey Protein Isolate (Milk), Whey Protein Concentrate (Milk), Vitamin E (D alpha tocopherol), Natural Flavours (Vanilla and Coconut). Adults have 1-3 teaspoons daily. 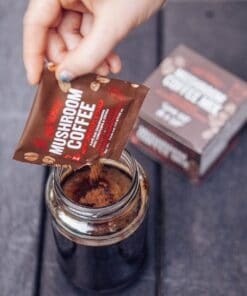 MCT Oil will affect people differently, so take it slow – start off with 1 teaspoon and slowly work your way up to your ideal level of consumption. For bulletproof coffee, add up to 3 teaspoons to your morning coffee. Some people will also add a bit of butter. If the coffee is piping hot and you use water rather than milk, you will need to re-stir to disperse the 2g of whey protein that is added for stability. Do not consume straight off the spoon on an entirely empty stomach before you have built up a tolerance to the MCT oil. Ideal for having after or in between meals. Try mixing into porridge or a smoothie if you find the coconut flavour too strong. Great stuff! Makes fat coffee delicious. Simply gorgeous in my bullet-proof coffee in the mornings, Id been using unflavoured MCT before, now Im hooked on this! Sooooo creamy! 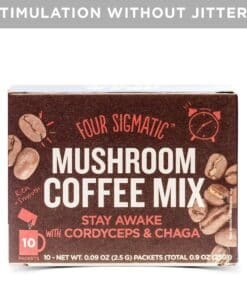 Great in bulletproof coffee. Tastes great and bottle lasts a long time too.